Iowa's first facility license to manufacture medical cannabis officially opened Thursday. 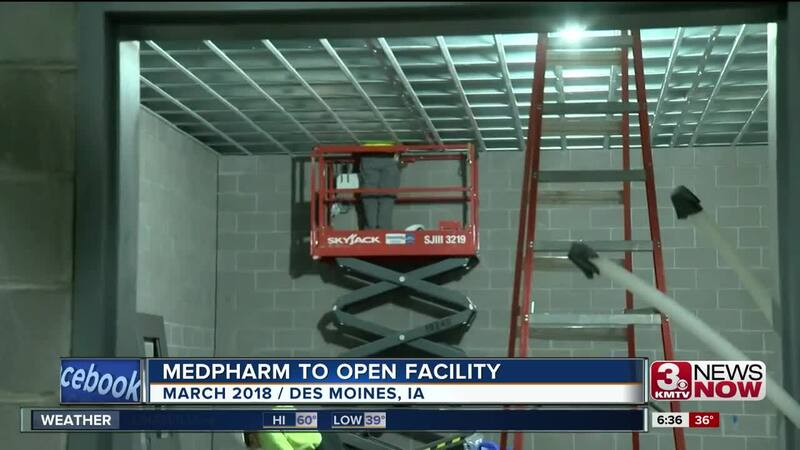 MedPharm Iowa will begin using its $10 million facility in Des Moines to grow medical marijuana that will be processed into cannabis oil before its distributed to the state's five dispensaries — including one in Council Bluffs and another in Sioux City — by Dec. 1. 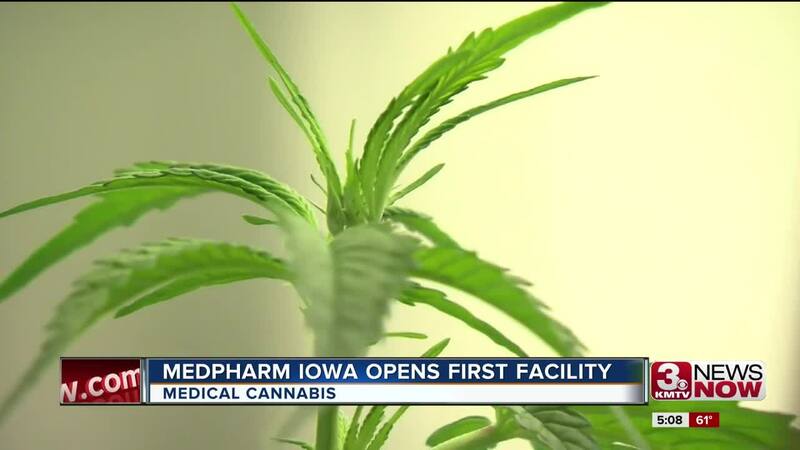 "One of the fears all along is, 'if we bring this to the state, something bad will happen,' and we've gone to great lengths to make sure that is not the case," said Lucas Nelson, general manager of MedPharm Iowa, which was licensed to sell medical cannabis in Iowa in March. "February 2014: Parents stood on the steps of the capitol and were told it would never happen," Nelson said. "A few years later and a few miles away, the state's first manufacturer is ready to open and distribute to the entire state. Parents and advocates say the persistence paid off. "It's incredible life-changing medicine right in front of me, finally," said Erin Bollman, whose 6-year-old son has rare disorder that has afflicted him with autism, epilepsy, and ADHD. Her son has been able to legally use medical cannabis in Iowa since 2014, but she wasn't able to purchase it in the state and instead had to drive 14 hours to Colorado to do so. "We've been able to wean him off his pharmaceutical drugs for his seizures; cognition improvement; he’s learning how to use an iPad; he’s in an inclusive classroom in kindergarten," Bollman said. "Those are all things that wouldn’t have happened without medical cannabis. It changed his life." MedPharm says cannabinoids have a range of therapeutic effects. There are currently eight qualifying medical conditions, and people have to complete a process to get a medical card before going to a dispensary. 3 News Now got a look at the products available — from capsules to oils and lotions, all with varying CBD/THC levels. "These patients have waited far too long for this to be legal in Iowa," Nelson said. "But that time has come, so now it's about really making sure that they're getting those benefits that they were looking for all along." Bollman said having the drug that helps her son available so much closer to home is comforting, and a long time coming. "So before the dispensaries came here, we would have to risk federal prosecution crossing state lines through Nebraska, and worrying about if I’m going to get arrested and what happens to my child if i get into trouble," she said. "So being able to have that here is life-changing for me, to not have to have that stress on top of raising a child with such a rare disease."